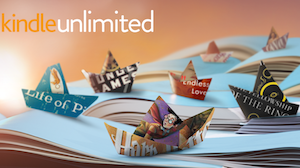 Kindle Unlimited: Is it a Game Changer for Publishers and Readers? When Kindle Unlimited was launched in June 2014, it was branded as a Netflix for books. It looked promising. After all, nothing has shaken up the publishing industry more than Amazon. Despite a shaky start, Unlimited is slowly catching up with many users. And though, it is too early to reach conclusions, whether it becomes the next Netflix or heads into obscurity, will affect both readers as well as publishers. Let's take a look at what Amazon Unlimited is all about and how it promises to shake up the way you read your books. The service allows you to read as many books as you can without having to buy them. It is like having your own library. Think Netflix meets your local library (minus the pesky librarian). By paying about $10 a month, you can read as many books as you want without paying a single penny from then on. Sounds great, right? Kindle Unlimited is the missing piece in Amazon's plan of completely dominating the publishing industry. It's Jeff Bezos screaming at you, telling you to ditch your library forever and embrace the magical world of cloud and cross-device syncing. With Unlimited, customers won't have to worry about paying huge sums of money to read the latest bestsellers. They can do so by paying a small subscription fee every month and get any book they want in an instant. Having used Kindle Unlimited for a while now, I can say that I'm pretty impressed by the service. 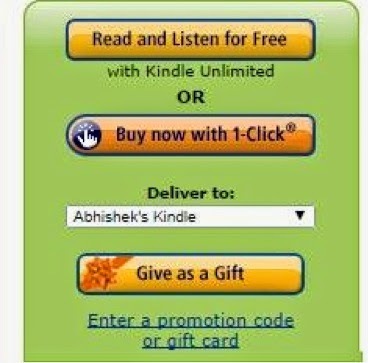 The whole idea of ditching your local library and joining the Kindle bandwagon is appealing if you are an avid reader. However, if you're a purist, this is not something you may not skip your library trip for. One of the things this service does well is that it gets you what you want whenever you want. To elaborate this further, let's say you are looking for a book. Maybe you saw a trailer of a movie which is based on a book and now you want to read the book before the movie comes out. If you weren't subscribing for the service, you'd either have to go to your local library or have to buy the book on Amazon. But for avid readers who read books 3 times a week or on a whim, this seems rather uneconomical. If you subscribe to the service, all you have to do is look up that book and if it's there on Kindle Unlimited, hit the "Read for Free" button, and voila, the book is yours. Many of the books I found on Unlimited were some popular titles like "Life of Pi," "Flash Boys," and the self-help classic "7-Habits of Highly Effective People." If you were to buy these books individually, they'd cost you about $30. But with Unlimited, you get to read all three for $10. Another great thing about Kindle Unlimited is that you get to read your book on whichever device you want. Be it your 5-inch Android phone or your huge iPad, or even your desktop, Kindle books can be read on pretty much any device. And, then of course, there are the Kindles, which are dedicated reading devices that focus solely on reading experience. They too are priced very low, starting as low as $79. If you start using the service, you'll find that it doesn't quite live up to its name "Unlimited." In other words, many of your favorite books aren't probably on Unlimited yet. So, instead, you'll have to buy them the old-fashioned way. A book that is on Unlimited will have a logo besides it indicating that you can borrow the book for free. Most of these books are either self-published novels or biographies. You'd have trouble finding a bestseller or a classic and then you'll have to pay for them. The answer depends on what kind of books you read. Amazon's Unlimited catalogue is pretty limited, but for some it could be quite useful. The best way of knowing this is to do a search on 10 of the books you want to read right now and see if they have the "Kindle Unlimited" logo below them. If at least 5 of them do, it's a worthy investment for you. If not, give it a skip. For someone who reads lot of business, self-development and personal productivity books, Unlimited offers a lot of self-published titles. They could serve as nice, quick reads. Also, if you are looking for something like Unlimited, but better, Scribd is a great option. It has a huge collection of books that you can read and even download (PDF format) by paying a small monthly fee. Not yet. But yes, it does have potential. If Amazon manages to convince more publishers to add their books to the Unlimited catalogue, we might have a winner here. Maybe a year from now on, Unlimited might end up becoming a Netflix.